History – How did we get here? V and F Sheet Metal installed a brand new Safan e-Brake 3M long 100 ton CNC press brake in June 2015. 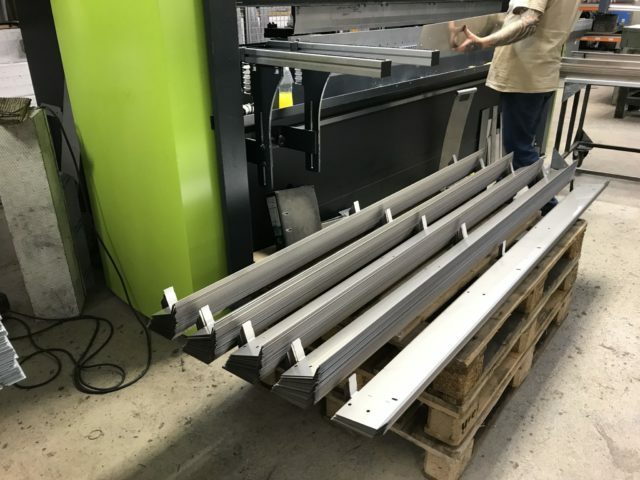 The Safan e-Brake is all electric with a clever belt drive system at the back of the machine producing an even loading along the full 3M top beam of the machine. This makes it easier for us to maintain a consistent bend angle right down a long component whatever the material grade or sheet thickness. 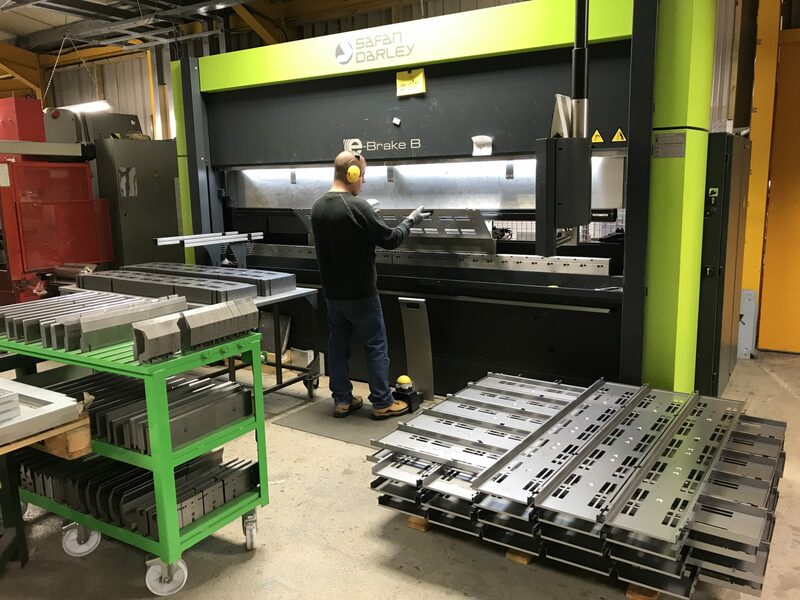 This new sheet metal bending machine sits alongside an existing Edwards Pearson 2.5M 60 ton CNC press brake machine, 3 Trumpf 1M long 36 ton 7036 CNC press brake machines and 2 smaller Guifil CNC press brakes. 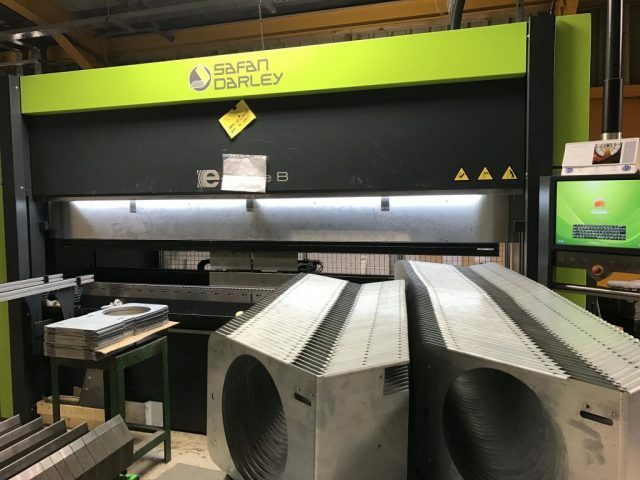 All acting together it enables us to offer a comprehensive sheet metal bending service for small light gauge sheet metal parts right up to 3M long sections and brackets up to 10mm thick. 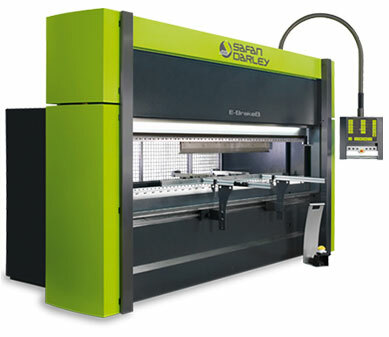 The simplicity of the Safan machine control enables us to program new sheet metal component bend programs very quickly. The programmer can simply use their finger to draw a cross section of the bends to be performed and then enter the exact sizes and angles. The accurately defined component is then automatically drawn up on the screen, dimensioned and programmed ready for bending. A 3D model is created with views of the tooling and each bend in the bend sequence is shown to ensure there will be no problems bending up the component before any material has to be tried. The programmer has the ability to change any aspect of the program to improve it if needed. 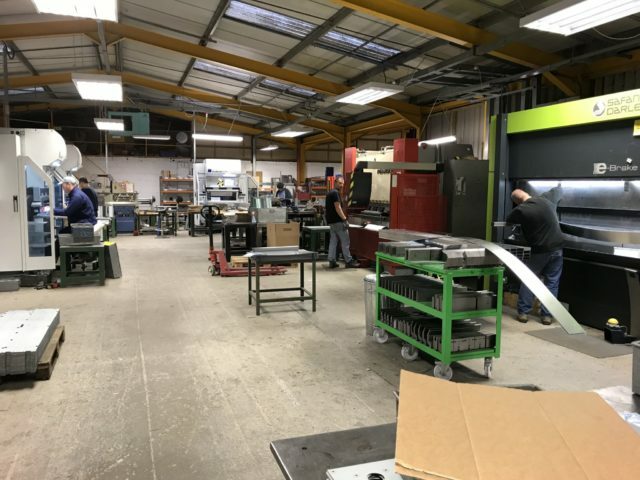 With all CNC programs saved onto our system server they can be recalled at any time when a repeat job is needed or a components has a design change. Using the same top and bottom bend tooling system as our 3 Trumpf 7036 CNC press brake enables us to be very flexible when it comes to production bottlenecks. We invested in more new tooling with the new machine and it now enables jobs under 1M long to be moved between all 4 machines and even run on all machines at the same time if required. With top tool automatic clamping the Safan e-Brake is easy to set, accurate and very fast to run the simplest single bend sheet metal angle to the most complex sheet metal folded chassis components. 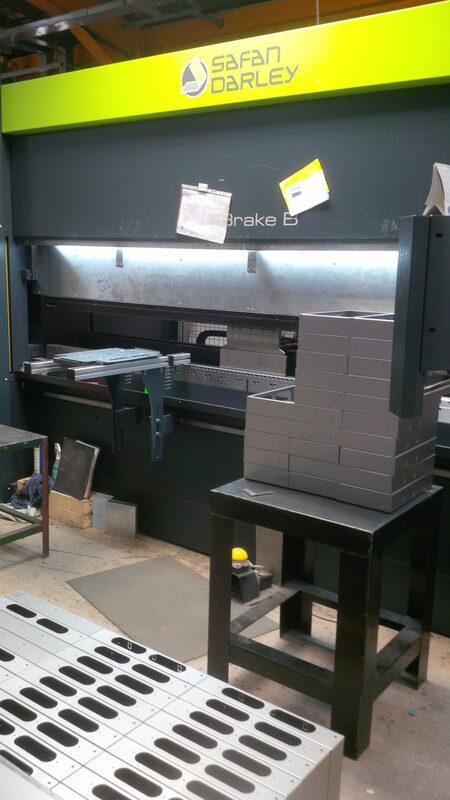 CNC bending mild steel sheet metal gear trays on our 3M long Safan e-Brake press brake. CNC bending in action with Trumpf tooling. Using the same CNC tooling over our 3 Trumpf 7036 CNC press brakes and our Safan enables us to be flexible when it comes to production schedules. 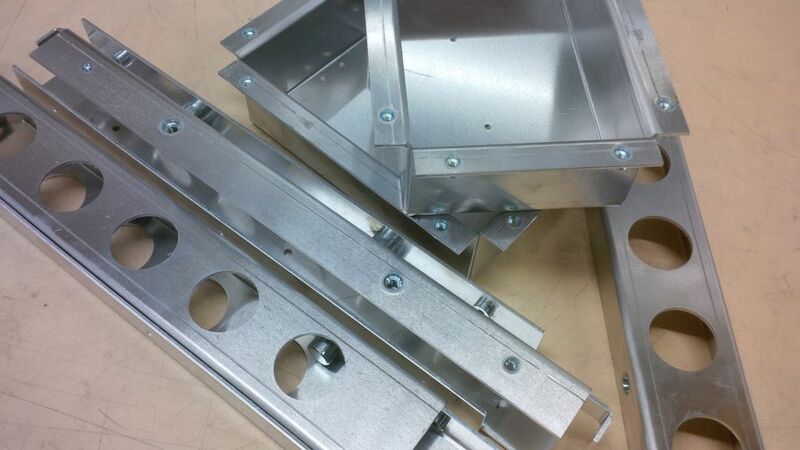 Folded sheet metal work straight off our Safan e-Brake ready to be shipped. Computer control for bending sheet metal work where we can not only program each folding job but store a database of material technologies to aid future production jobs. Safan e-Brake with 3 CNC back stops programmable to produce simple angle brackets right up to complex multi-bend electronics chassis. CNC bending used to produce sheet metal chassis gear trays in our factory in Fareham, Hampshire, UK. From 1 offs to large batches of thousands the Safan e-Brake is the perfect tool for folding sheet metal work. Sheet metal blanks waiting to be folded up on the Safan. This is a typical cross section of work folded up daily. 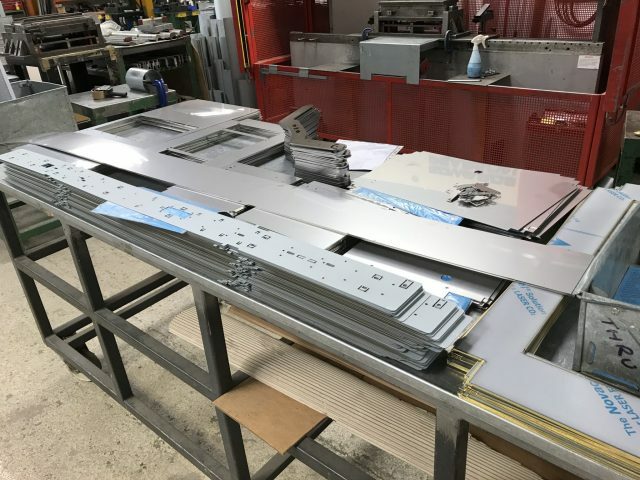 Safan CNC press brake in the middle of folding sheet metal boxes that will create illuminated exit signs. 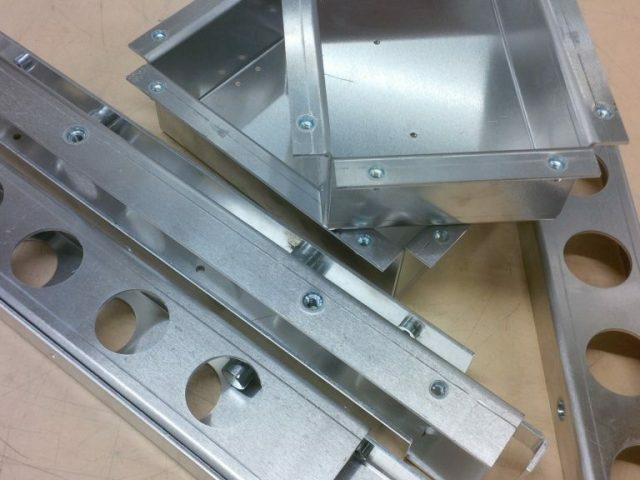 Folding sheet metal light gear trays straight from the CNC punch presses. Bent up long sheet metal sections on our Safan e-Brake, the perfect work for the CNC press brake. 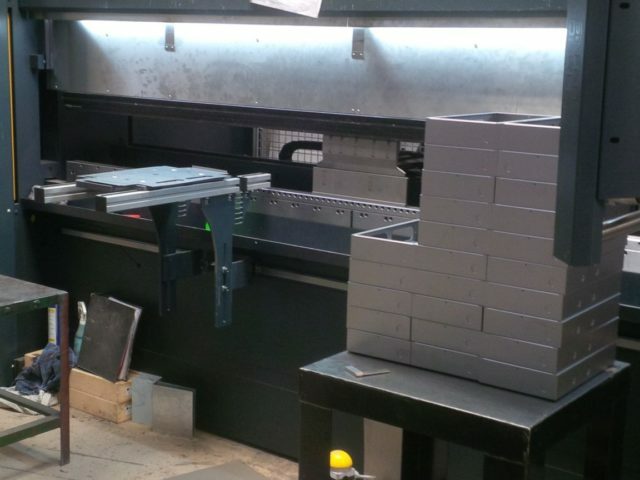 5 CNC press brakes all busy working away on new sheet metal projects, great to see a busy workshop.